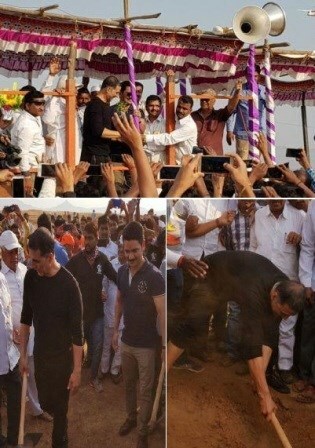 #AkshayKumar has been shooting for Kesari since January this year in Wai during his frequent trips the actor has been keenly studying topography and climatic conditions of the place. He had also been interacting with the locals. In one of his conversations, Akki heard about Pimpode Budruk, which had been facing a water crisis. This time when he went to Wai he had 2 things on his itinerary one was to shoot for Karan Johar’s patriotic film Kesari, But once he had taken off his turban, the actor got started on the second thing that was on his mind. Accompanied by some members of his team, he headed to Pimpode Budruk, which is located in Koregaon Tehsil in Satara, Maharashtra, and helped the locals with water harvesting.